21 Nov 2018 --- Breakfast cereal giant Kellogg’s has welcomed the reversal of a UK Advertising Standards Agency (ASA) junk food advert ban and called for the re-examination of the initial decision. Kellogg’s says the original judgment could have had “potential consequences” for the industry, disincentivizing food companies from developing better-for-you alternatives. The U-turn, which followed an independent review, has sparked criticism from obesity campaigners who originally brought the action against the granola advert. Part of the initial problem was that the advert used the same cartoon character and catchy jingles usually associated with other high sugar Coco Pops products. 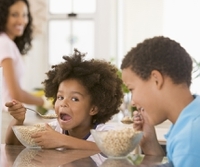 In August, the ASA upheld a complaint from the UK’s Obesity Health Alliance (OHA) about an advert for Coco Pops Granola shown on children’s TV. While Coco Pops Granola is not a high fat, sugar and salt (HFSS) product and not subject to advertising restrictions, the ASA agreed that the advert had the effect of promoting an HFSS product due to use of branding which is highly associated with adverts for other Coco Pops products – some of which are HFSS. These include the Coco the Monkey character – synonymous with the Coco Pops brand, the “audio logo” or jingle tune and phrases like “it turns the milk chocolatey,” also associated with the brand. This was an important decision that set a precedent for protecting children from junk food marketing, says the OHA. However, following the ASA ruling, Kellogg’s demanded an independent review and ASA has now decided to reverse its original decision. “These adverts are designed specifically to appeal to children with fun cartoon characters including the well-known Coco the Monkey and catchy jingles. The original ruling recognized the power of brand advertising and closed a loophole preventing food companies from advertising to children by using characters and music associated with their unhealthy products,” says Caroline Cerny, Alliance Lead. What is in the advert? According to the ASA ruling, the TV advert for Coco Pops Granola was shown during the children’s program Mr. Bean in January. It began with a group of animated animals standing on each other’s shoulders trying to knock a coconut down from a tree. Coco the Monkey ran up to the hyena standing at the bottom, showed him a bowl of cereal and said “Coco Pops Granola, it’s so chocolatey, so crispy, and look at the milk, it’s turning all chocolatey. Mmm. So, want some?”. The hyena licked his lips as Coco’s friends shouted: “Taste it, taste it!”. The hyena said “Chocolatey!” and grabbed the bowl from Coco, causing the other animals to fall off his shoulders into a big pile. One of them said “Where’s my breakfast!”, and then “Ow!” as a coconut landed on him. A voice-over concluded “Coco Pops Granola. Tasty fun for everyone” as Coco and all the animals were shown eating together in the background. A pack of Coco Pops Granola, a bowl and a jug of milk were shown in the foreground. Small on-screen text shown throughout most of the ad stated: “Enjoy as part of a healthy diet and active lifestyle, 45g of Coco Pops Granola = 9 percent RI for sugar”. The OHA challenged whether the ad was an ad for an HFSS product that was advertised in programs commissioned for, principally directed at or likely to appeal to audiences below the age of 16. However, Kellogg’s confirmed that Coco Pops Granola was not an HFSS product. The company said it took the Advertising Code seriously and had strict internal policies and processes in place to ensure the HFSS products in its range were not advertised to children. Kellogg intended to market the granola product as a better-for-you breakfast cereal.